Rusted Windmill ...Relax, Play and Getaway in Ellicottville, NY! : Beer and Wine Festival at Holiday Valley Resort - 2014 Brewers and Vinters on tap! Beer and Wine Festival at Holiday Valley Resort - 2014 Brewers and Vinters on tap! It is time for craft beer aficionado to unite at the 11th annual Beer and Wine Festival at Holiday Valley Resort, sponsored by Holiday Valley Resort, the Ellicottville Brewing Company and the Southern Tier Brewery. The event is a great way to sample and purchase craft beers from around the region! The popular festival is a two day event on November 7 and 8, 2014 that features a Brewmaster dinner and a beer tasting event (2oz. glasses). The beer tasting and paring dinner is held on Friday November 7, and has limited tickets. The Beer and Wine tasting event is on Saturday November 8, and allows ticket holders will be able to sample over 100 hand-crafted beers from over 30 of the best New York State and American craft breweries and wines from New York, Southern Ontario and Ellicottville vintners. The Beer and Wine Festival is a great way to enjoy the food and beverage tastes of the season. 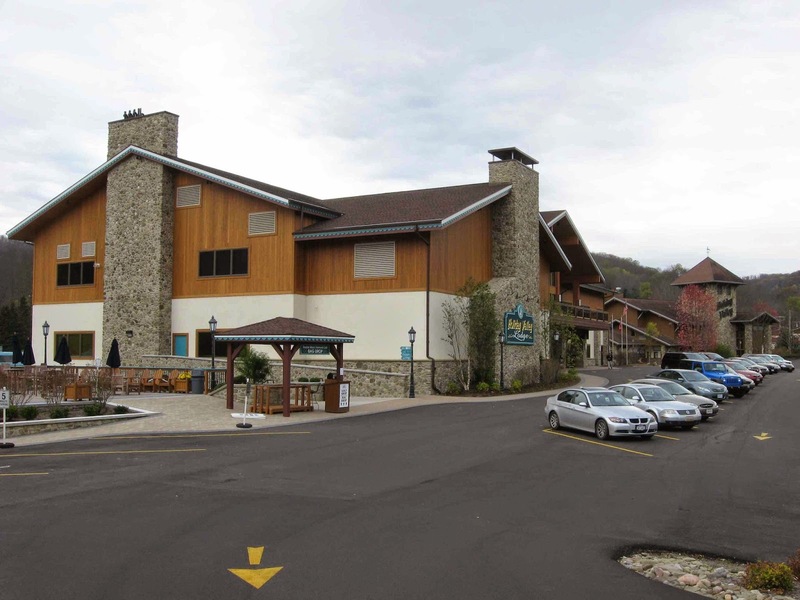 The 9th Brewmaster Dinner will take place on Friday, Nov. 7 at the Holiday Valley Lodge (new location for 2014) at Holiday Valley Resort. The dinner is also a meet and greet, where you can meet the brewers and ask them about the beers and pairings. The dinner and courses are paired with different beers and ales. The dinner in 2013 include appetizer, soup, salad, entree, potato and dessert. Each station is pared with a craft beer. The food items are local, both grown and purchased within 60 miles of the Ellicottville. Tickets are $65 per person and are limited, so call for a reservation at 716-699-2345 or purchase on-line (Brewmaster Dinner Ticket Link). Hors d'oeuvers begin at 6:00 pm followed by the dining stations open 7:00 PM. The Beer and Wine tasting event at Holiday Valley Resort is a great way to sample from over 30 beers or wines. Pre-sale tickets for the Beer and Wine Festival are $50 and are available online or at Wegmans through October 31, 2014. Tickets may be available at the door, but it is wise to pre-purchase because ticket sales are limited. 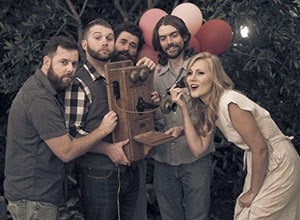 The live music will be performed by Big Leg Emma. Complimentary shuttle service will be provided guest of the Holiday Valley Inn, Tamarack Club, Alpine Meadows, Wildflower and Snow Pine Village starting at 2:30 pm. Starting at 5:00 pm, shuttles will be available into the village of Ellicottville and to the Holiday Valley accommodations. Finally to conclude the night, there will be shuttle service from outside Balloon's back to Holiday Valley Lodging from 6:00 pm to 2:30 am. Space is limited for the event and reservations are required. Call 716-699-2345. The 2014 festival craft beer lineup is no exception, there are fantastic brewers on site. The craft brewery tables in the beer garden are: Sierra Nevada, Magic Hat, Great Lakes, Erie Brewing, Saranac, Southern Tier, Ellicottville Brewing, John Harvard's, Ithaca, Roerhbac, Woodchuck, Custom Beer Crafters, Butter Nutts, Original Sin Cider, Harpoon, Voodoo, Smutty Nose, Long Trail, Shmatlz Brewing company and Otter Creek...plus many more! Our review provides a majority of their beer offering and ones that we recommend trying at your local store or at the festival (if available). 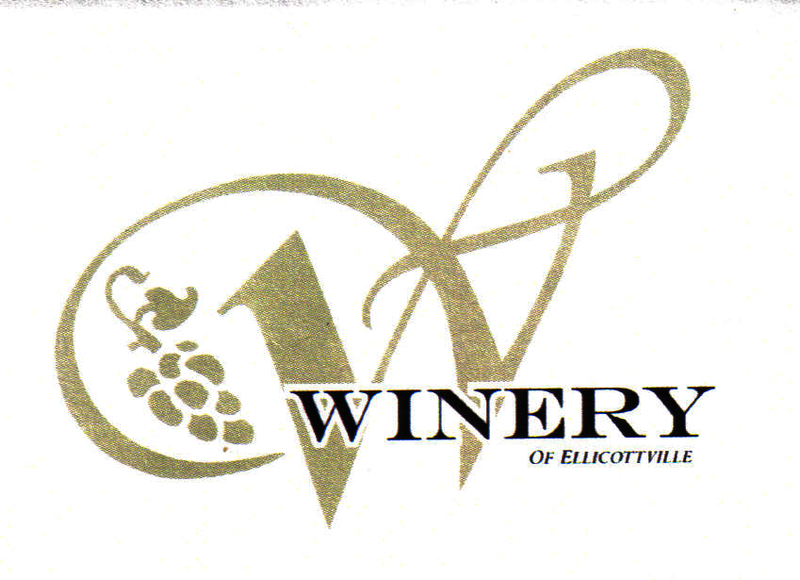 There are also over ten wineries for 2014, including the Winery of Ellicottville, Niagara Winery, Willow Creek Winery, Glenora Wine Cellars, Vendiff Vineyards, Casa Larga Vineyards, Montezuma Winery, Heron Hill Winery and Merrit Estate Winery.. Western New York has great conditions for growing many flavorful wines, with the warm days and cool nights. The event caters to both beer and wine drinkers alike. We Recommend - Our year round favorite is the Dortmunder Gold. It has good flavor and body and always satisfies. During the holidays, the Christmas ale is a must. It is hard to find so get it when you can. It has a nice spiced full flavor and has a slightly higher alcohol content.Their Oktoberfest is also on our list and is a caramel color with great flavor this variety of beer, which is a plus. The Oktoberfest is not bitter and definitely delivers. We Recommend - We highly recommend trying their seasonal Pumpkin Imperial Pale Ale, which is one of the best pumpkin ales in the midwest! It has great flavor, plenty of hops and is not too heavy on the pumpkin. Western New York state is known for their wineries, with their warm day and cool nights in the mountain and lake regions. The area has proven results at wine compettions and draws thousands of people year round to the wineries in Chatauqua area, Finger Lakes area and more. The regions' wines are shipped all over the world. We reviewed a few wineries for this article and we hope that you enjoy their wines at an event at their wineries in the near future. We Recommend - The Traminette. Is is has a great nose and little bit of spice and a nice finish. The Snow Fox is recommended for the sweeter palate! The winery produces 19 wines and 3 specialty wines. Some of their signaturespecialty wines include Cream Sherry, Cholocate Tempations and Chautauqua Chocolate. Their white wines include a Reisling, Cayuga Wine and a Chardonnay. They have a larger selection of red wines which include a Cabernet Franc, Chambourcin, Cabernet Sauvignon, Merlot Red Rambo and a Dry Concord. Finally the winery has a large selection of sweets, including a Concord, Niagara, Pink Catawba, Sweet Agnes and more. Heron Hill Winery was established in 1977 on Kueka lake in Himrod New York, in the western region of the finger lakes. The winery originally produced only white wines, around 5,000 cases per year. The winery has grown in scope and volume and now produces a dynamic selection of wines to the tune of 20,000 cases annual. The winery also has 2 tasting rooms, one a Seneca Lake and the other Canandaigua Lake. Heron Hill winery is also an entertainment destination, with the addition of the Blue Heron cafe and its location for hosting weddings. The winery has been consistently awards for its variety of wines since 2001 and is definitely a winery to check out! Heron Hill winery a light and crisp line of Riesling, from dry to semi dry to Reserve, They also have a Gewurztraminer Reserve! 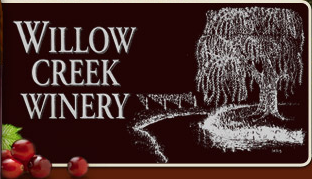 The winery is know for its blended Eclipse series, which includes a white with Chardonnay, Pinot Gris and Pinot Blanc varietals and is lightly oaked. Their Eclipse red is aged 24 months and has the traditional Bordeaux varieties. Rounding out their current selection are a late harvest Vidal Blanc, Ingle Vineyard Riesling, Ingle Vineyard Cabernet Franc and a Pinot Blanc Reserve. Merritt Estate is located in the largest grape growing region east of the Rockies and the largest Concord grape growing region in the world. The Chatauqua area grapes and wines rival the quality of premium vintages found throughout the world. Visitors to the winery can take at tour of the Merrit Estate facilities and surrounding vineyards. They also offer free year-round wine tasting in the Tasting Room and a complete selection of Merritt Estate wine is available for purchase at the winery or online. Merrit Estate Winery produces almost twenty different wines including red wines, white wines, dessert wines and specialty wines. The make a Bella Ice, Bell Rosa, Cabernet Franc, Chatauqua Blush, Chatauqua White, Chataugau Niagara, Edelweiss, Gewurztraminer, Late Harvest Delaware, Mereo, Peach Splash, Reisling, Sangria de Marguerite, Sangria wine slush, Strawberry Festival, Winemaster's Choise, and XTC. Many of their wines have won awards at regional and national competitions, including National Commercial Wine competitions, The Great Lakes Wine competition, the Monterey Wine Competition and more. This festival is a great opportunity to sample many craft beers, ales and wines. Not all of the breweries' beers and ales will be available at the festival, but enough to get a feel of the breweries style and hand crafted flavor. The wineries bring a good selection of their wines to try! 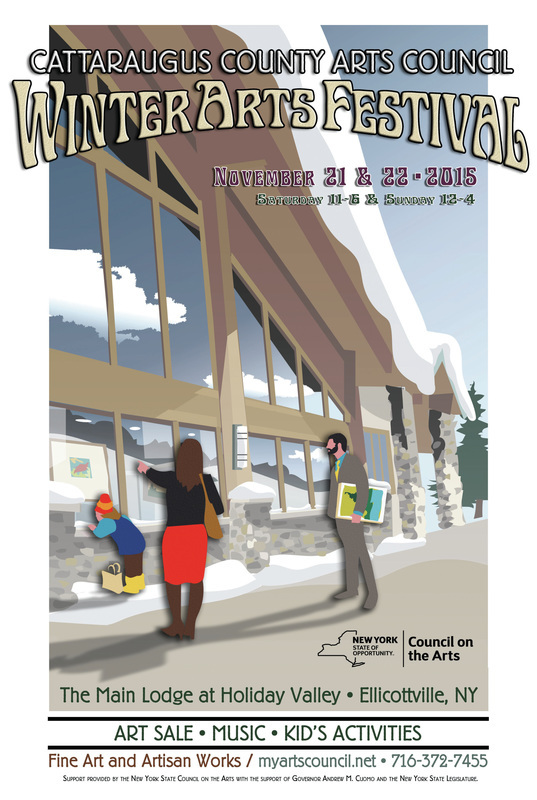 Ellicottville New York is a great little town, so make the beer and wine festival a weekend trip. There are fabulous restaurants and there many activities to enjoy over the weekend. 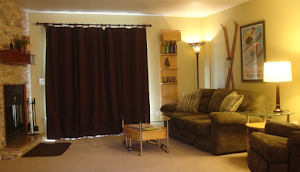 Weekend lodging packages are available at Holiday Valley Rental Management properties and Holiday Valley Resort, with free shuttle to the event and downtown for Holiday Valley guests (see Holiday Valley Resort website for details).